American supermodel Karlie Kloss returns as the face of luxury jewelry and accessories label Swarovski, and poses for the Winter 2018 Campaign. The blonde model, former Victoria's Secret Angel, wears the new Swarovski collection that is designed with an 'Enchanted Forest' theme. 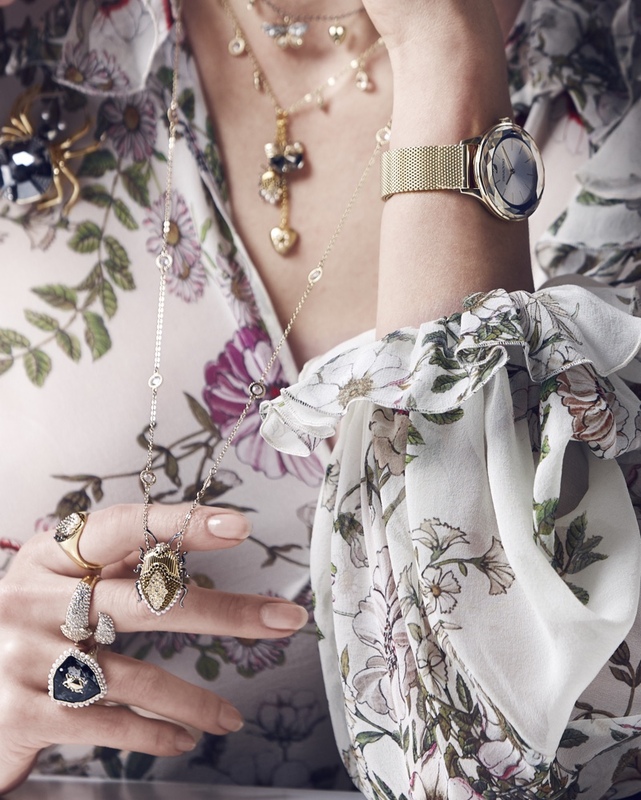 Karlie is a vision as she flaunts layered necklaces, a spider pendant, a gold watch and an array of rings, and is clad in a floral top with her hair in a tussled look. Karlie is a charm and gives ample inspiration to wear precious jewels and carries them with style and gives off ample chic vibes.